The five roles you can assign users on a blog are: Administrator, Editor, Author, Contributor, and Subscriber. 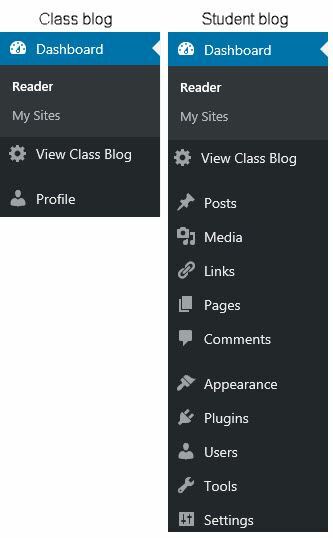 There are two extra roles if you use "My Class": Teacher and Student. How much responsibility you’re comfortable with assigning the user. Providing them with an environment that’s motivating. The following table has a list of roles that users may have and their capabilities. It is possible for users to have more than one role. For example, they may be an administrator on their own blog and a subscriber to another blog. For information about adding a user to your blog or site, see Adding and Deleting Users From Your Blog. Check out this knowledge base article I found in the University of Oregon knowledge base. https://service.uoregon.edu/TDClient/KB/ArticleDet?ID=41243 UO Blogs: What Are the Different Roles of Users? 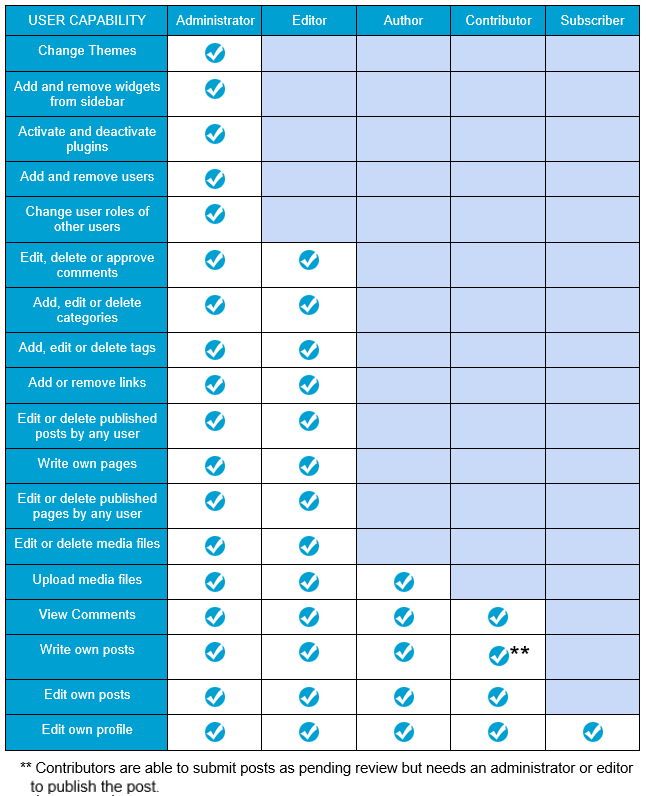 When you set up a blog you have the ability to assign and control what other users can do in the blog depending on the tasks you want each user to be responsible for. 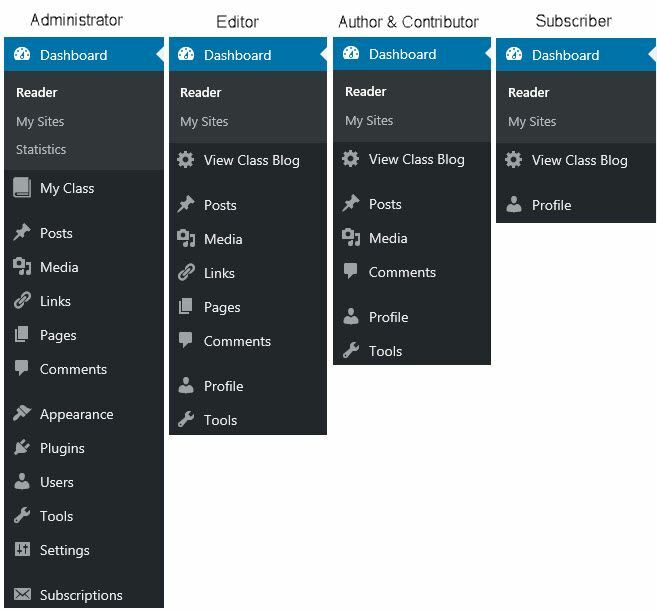 The five roles you can assign users on a blog are: Administrator; Editor; Author; Contributor; and Subscriber.